Alex Mustard - Can You See Me? 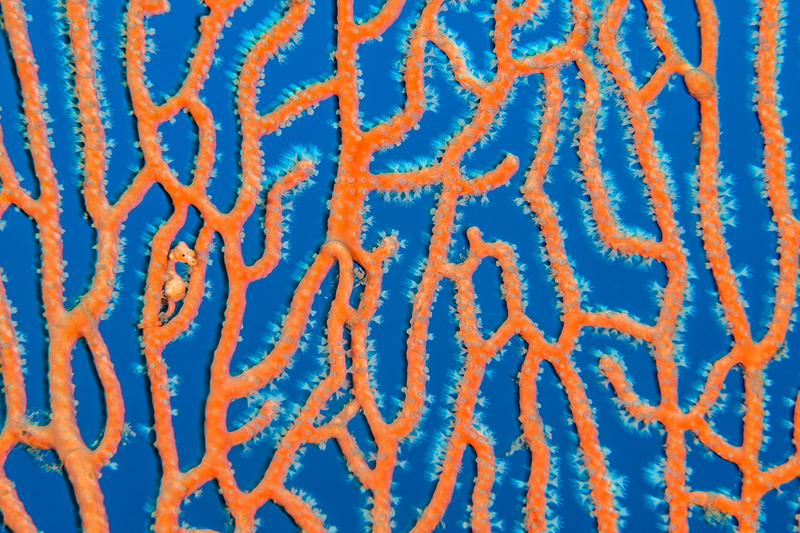 A tiny, well camouflaged pygmy seahorse (Hippocampus denise) shelters in an orange sea fan on a coral reef. After years of challenging myself to shoot these tiny fish at as high a magnification as possible, I now prefer shooting them much smaller in the frame. I like the slight ghosting shadow in this frame which adds a little depth to an otherwise flat scene.